Somewhere there was a post that it took some time for a newbee to figure out that stamina refill with gems is possible. Because it's not so intuitive to e.g. 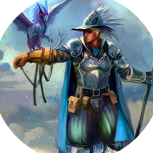 tap on an "Battle! Stamina 3" Symbol if you know that you e.g. only have 2 stamina. But that’s the only way at the moment to get to the refill option. Suggestion: If Stamina is less then the maximum amount needed (e.g. 1 at beginning, 10 if Challenge is unlocked), then display a refill button maybe under, right or inside the stamina bar. 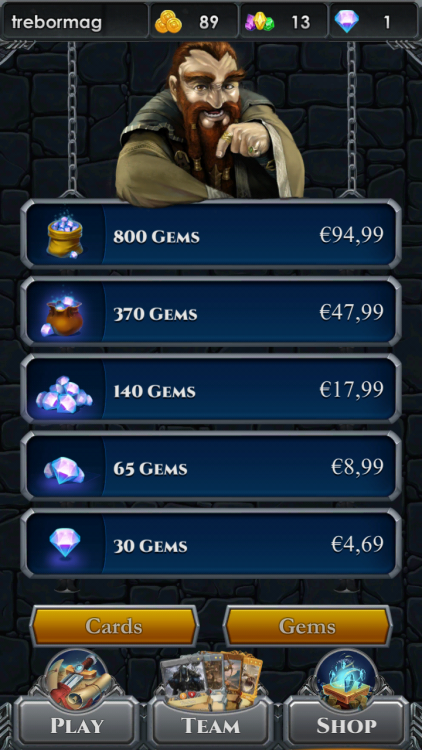 And then there is a second point that it's not clear that it's possible to buy gems. Maybe a newbee didn't discover the "Gems" button at the right lower corner of the Shop view so far. 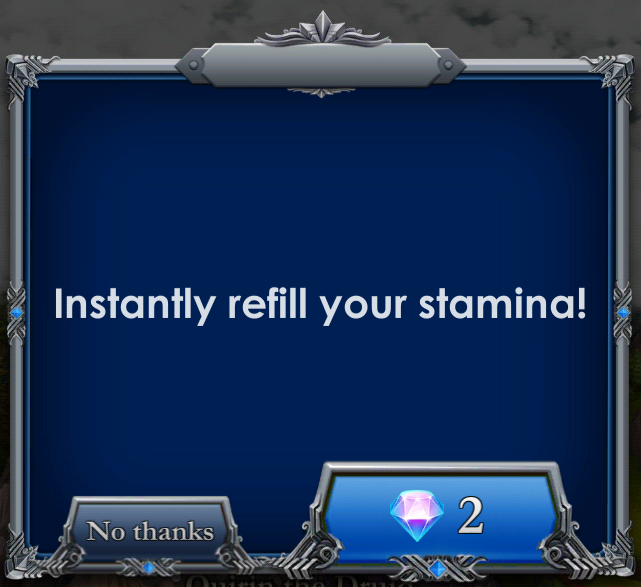 Trying to enter Challenge mode doesn't spawn the Refill stamina screen like campaign does. is this intentional? Hear hear. This would be part of my UI/UX list if you hadn't suggested it. Nice one! I really like to bring up this topic again because I think it's a major point! NO one realizes that stamina refill is possible with gems!!! 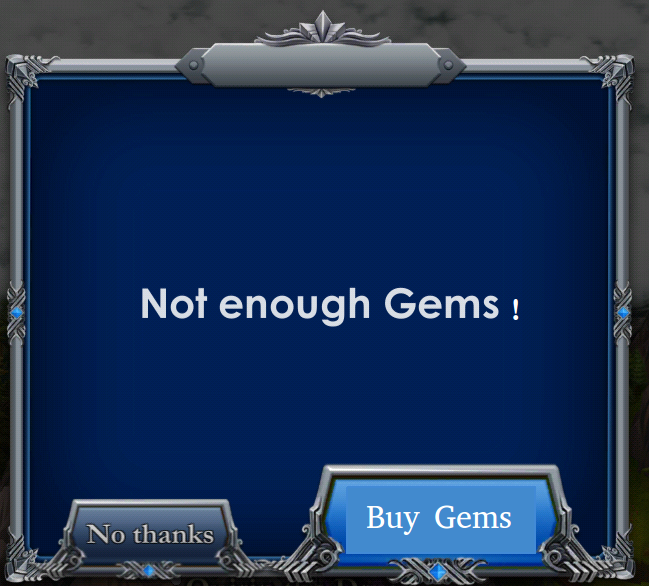 The reason is that the only possibility to refill stamina with gems is to click "Battle" if your stamina is too low for that battle. And nobody does that because it's unlogical! Please install a "Refill" Button directly to the stamina bar and/or at the battle start screen!